Designed with .925 Sterling Silver and Hand Stamped with your personalization this toddler/child bracelet is perfect for birthdays, first communion or just because. 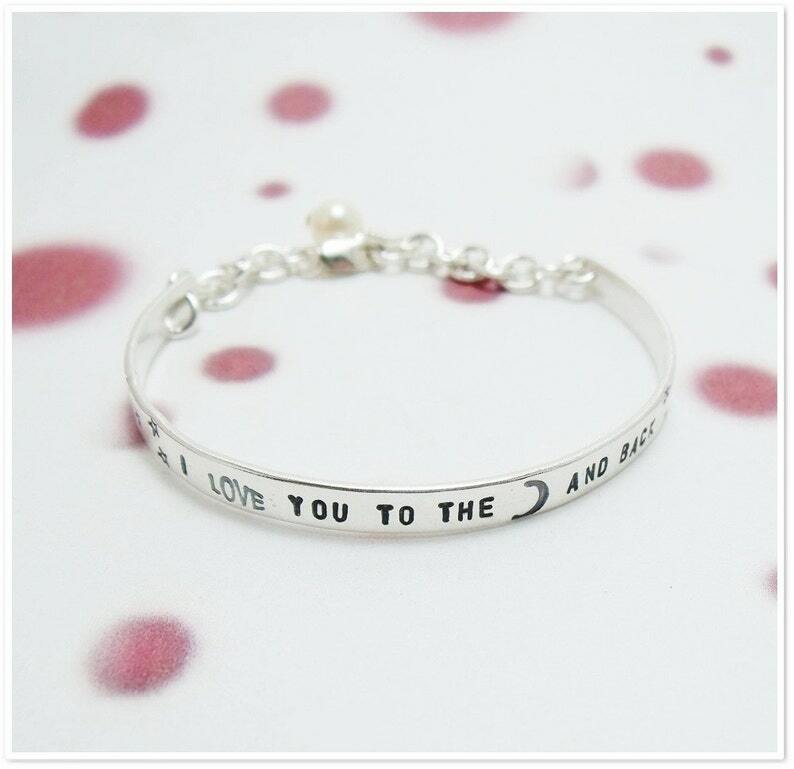 The one pictured is hand stamped with the saying "I love you to the moon and back" with hand stamped stars at each end. Available as pictured or with your own custom text. Bracelet is made with 5mm x 1.5mm sterling silver. *This bracelet contains small parts such as the clasp and small ring chain. Please take this into consideration when purchasing for a child under 3 years of age. Please leave personalization, size and any other important information in the message to seller section.